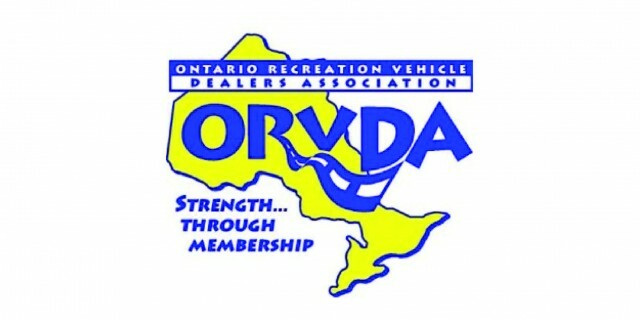 RV owners and insurance companies throughout Eastern Ontario trust us for quality RV repairs. Visit our shop and browse through our extensive display parts & accessories. Don’t see what you’re looking for? Ask us and we’ll order it in for you. We service all makes and models of RVs. Whatever part you may need, we either have it in stock, or can get it here fast. Quick, quality service is always guaranteed. Camping season doesn’t last long. Your RV repair process shouldn’t either. RVs provide more than just a means of travel, they provide an experience. They’re your home away from home when you’re travelling. So when something goes wrong, you want it fixed quickly and properly. That’s where we come in. 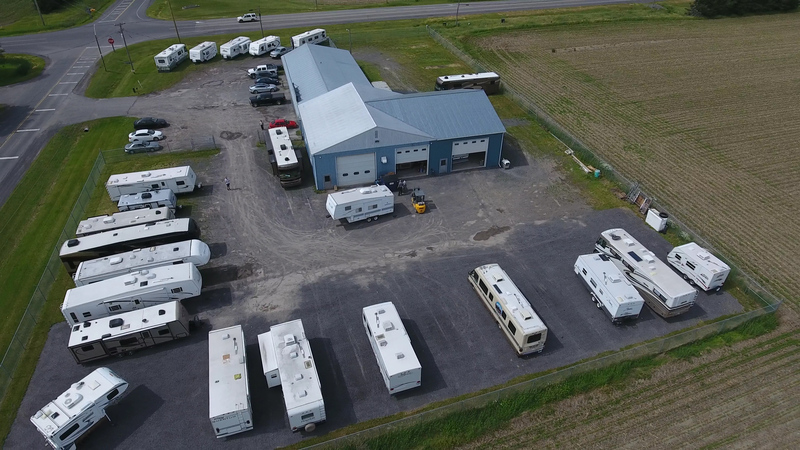 We are a full-service, family-operated RV Repair Shop located in Chesterville, Ontario. We are trusted by insurance companies and RV owners throughout Eastern Ontario to provide quality and timely RV maintenance and service to all makes and models. We want you to get back to enjoying your RV the way it’s intended: On the open road. Why trust us with your RV? We are recommended by insurance companies as RV repair specialists, and we can help simplify your insurance claim. From the smallest dent to a full side repair, we can get your RV looking good as new. Our service centre is equipped with an air test system to accurately detect any leaks in your RV. We offer perfect paint matching services. Slideouts can be an RVer’s best friend and worst enemy. When your slideout isn’t functioning as it should, trust us to get it working again. If your RV’s roof needs repairs or replacing, we’ve got you covered. We have four large bays and two smaller bays to protect your trailer from the weather while we work on it. It took three months for us to get an estimate for some water damage repair from a dealership. BGM had an estimate within a few days, and the repairs were done promptly. When the kitchen slideout in my fifth wheel stopped working properly, I took it straight to BGM RV Repair. I told them I had another trip coming up shortly, and they had the new part in and the slide working properly in plenty of time for my next excursion. I know my trailer is in good hands when it’s at BGM. Just a note to tell you how much I appreciated and admired the quality repair you did on my Mallard trailer. It was far and away beyond anything I expected or anticipated. I would certainly recommend you and BGM to my friends and clients. Keep up the good work and quality. BGM completed a great repair to our Class C motorhome, not only on time, but also were able and willing to schedule the repairs in order to accommodate our travel schedule, as per our request. I now have a new “go-to” place for parts, repairs and advice. Thanks for doing exactly what you said you would do, something that is becoming hard to find these days. A great big huge thank you to Brian and his amazing crew for the fabulous job they did on our trailer that was vandalized. I would not hesitate to recommend your services to anyone. Continued success and thank you once again. I just cannot say this enough about your Excellent Service provided to me on my 1990 RV fixing the Rear Roof Vent and bedroom area. Your attention to detail and keeping me informed of the findings and the recommendations really stands out for me. I have added a testimony on my Facebook page to the public about your service and the recommendation to repair the roof vent for longevity of having more fun with my RV. I hope it generates business for you in the future. I still have to go and Thank Leisure Days for their recommendation to you. Thanks to all your staff for their excellent craftsmanship.